Come on in! 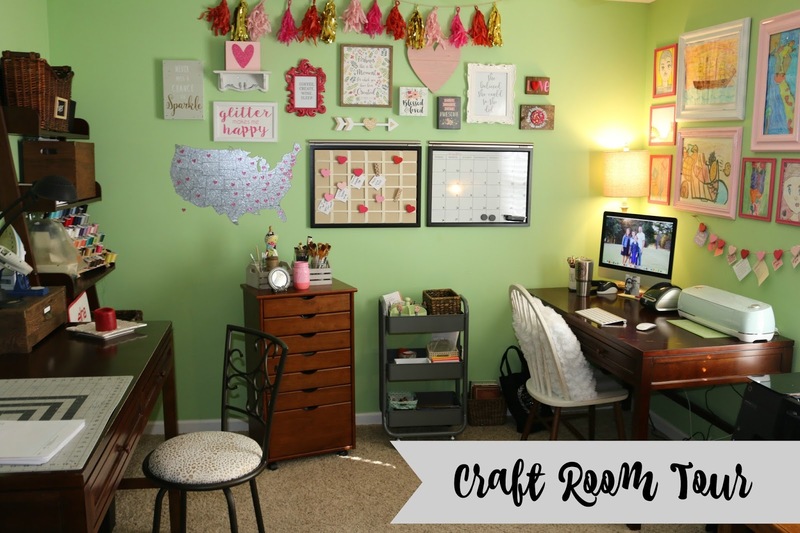 I am so EXCITED to share my craft room with you guys! It is truly one of my happy places!! I just completed my mini craft room makeover! You can see what it used to look like here! It didn't get a huge facelift but a facelift that I love even more than before!! Gosh I can't believe how fast this weekend went! For us to not have a lot planned...it flew by!! Last week I had to rent a carpet cleaner because ole Trixie is having a time potty training! Luckily most of our floors are hardwood, but our bedrooms are carpet! YAY for Friday and YAY for no plans this weekend!! I can't even begin to tell you how excited I am that we have NOTHING on the calendar. I thought it would be fun to share a few of my FAVORITE outfits from this month!! Since Lindsay over at Lindsay's Sweet World showed us exactly how to take the perfect OOTD picture! So I tried to take my perfect OOTD picture as well as she does but I need more practice!! Thank you Lindsay for the tutorial! 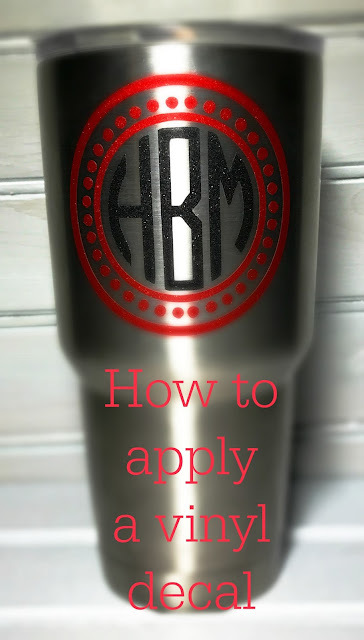 Have you ordered a cute decal from Etsy or bought one from the store and have NO idea how to apply it! Well I am here to help you!! 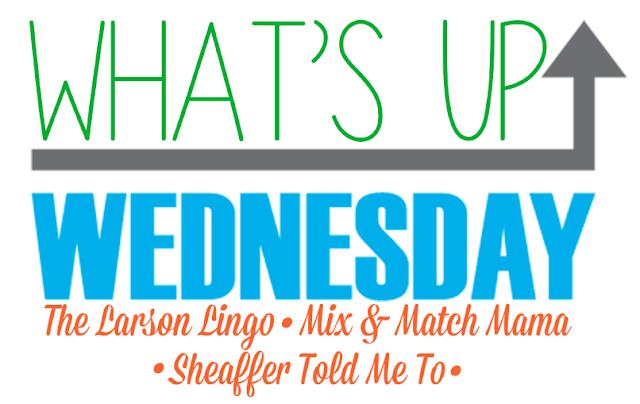 Linking up today with Erika, Shay, and Mel for What's Up Wednesday! Popcorn is a weakness in my house. Ok maybe it is just a weakness for Ella and myself! 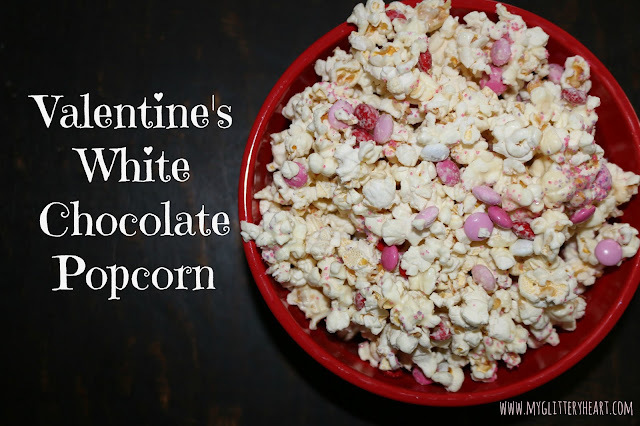 The boys could live without it but if Ella and I are watching a movie....popcorn is a MUST!! I thought it would be fun to share our Valentine's White Chocolate Popcorn today! Hello Monday! How was your weekend? I think this is going to be the most boring weekend recap I have ever posted! But it was a fabulous weekend! We didn't really do much of anything and it was awesome!! 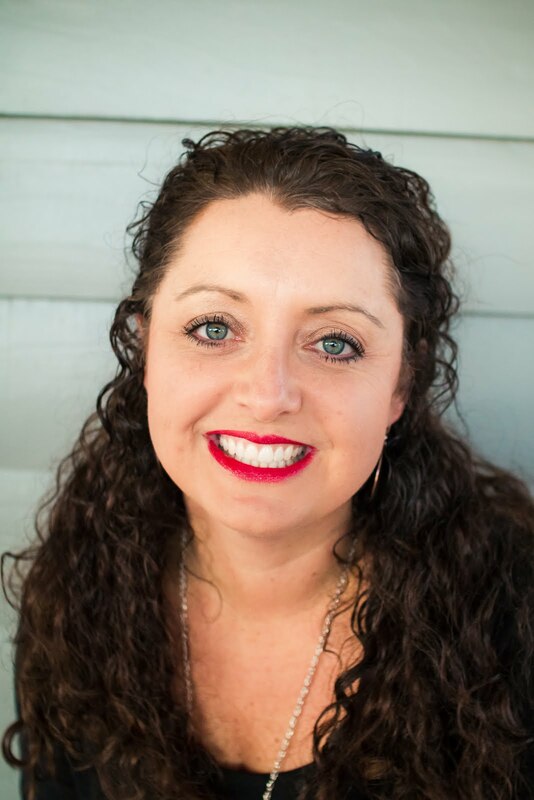 Linking up with Johannah for hello monday! YAY for the weekend! Why do 4 day weeks seem to last FOREVER?? Anyone else feel that way? So glad it's Friday and we have a pretty relaxing weekend planned! Love chillin' with my FAVORITE people!! 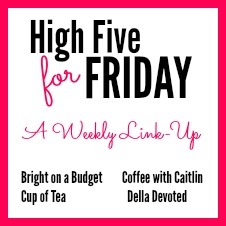 Sharing some of my FAVORITES from this week!! This Nail Polish Swap is going to be SO MUCH FUN and Monday is the last day to fill out the form to be in the swap so hurry up and sign up!! Pretty nails and toes are ALWAYS a FAVORITE!! This time one year ago, I remember debating whether or not to start a blog! I knew it would be a big commitment on my part but I really wanted to some how still "scrapbook" since I hadn't physically scrapbooked in SO LONG! I knew I would want to remember everything I could about the kiddos! Then, of course, doubt starting creeping in like who would even read my blog. However, on January 18th, 2016.....I published my very first blog post and it was an introduction to my little family! I can't BELIEVE that I have been blogging for 1 year! It has really flown by! I can't even begin to describe to you how thankful that I am that I started this little space of mine! The friendships that I have made are still unbelievable to me! I speak to a couple of blogger friends on a regular basis and have never seen their face in real life and I'm ok with that! They will always be dear friends of mine!! 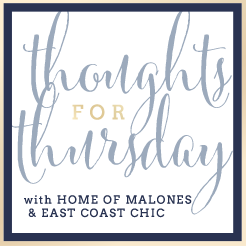 I enjoy reading my list of "Blogs I Love" each morning! Those ladies and their families have grown near and dear to my heart! Hello Monday! I hope you have had the best weekend~ We are out of school today in honor of MLK so we are off to antique shop!! I'll share any good finds with y'all later this week! We had a great weekend~ Pretty low key and relaxing!! 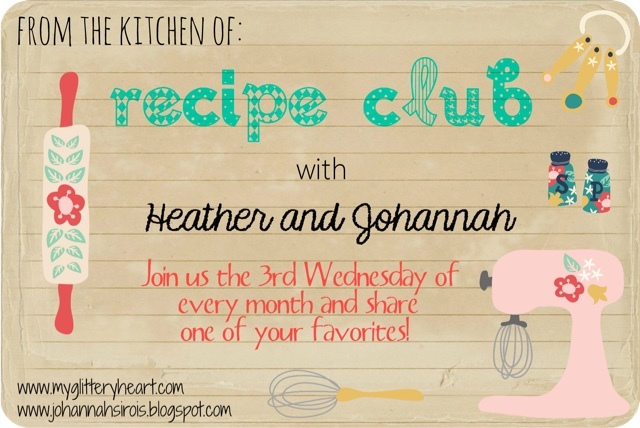 Linking up with Johannh for hello monday! Hello Friday and Hello Weekend!! It was the kids first full week back in school from break and we are so happy we are heading into a long weekend!! Sharing a few of our FAVORITES from this week! Within 5 days, we have had 3 birthdays in our family!! We have had a week of celebrating and we plan to carry the celebrating into the weekend! 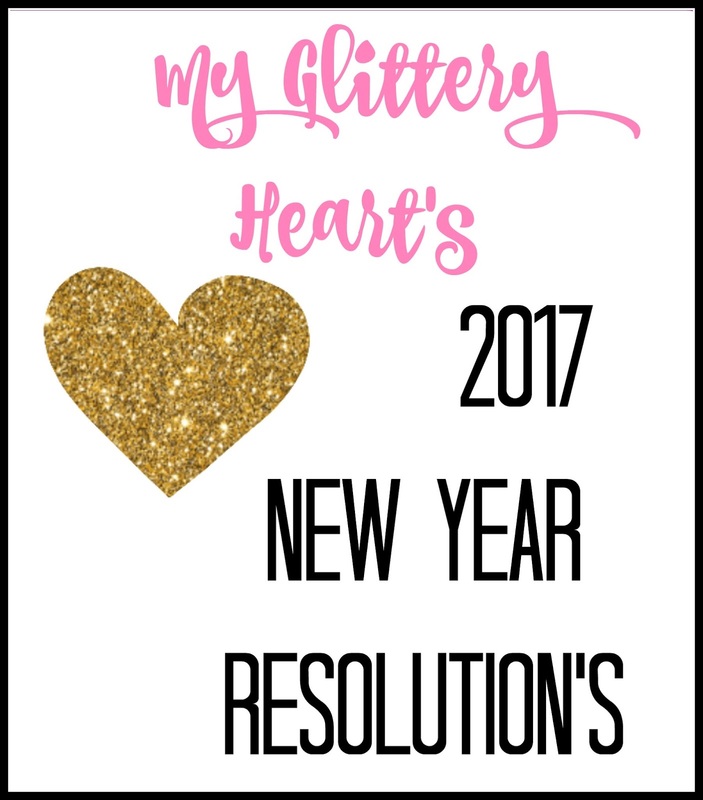 I am so excited to share with you my New Year's Resolutions! I know to some people resolutions are scary....but not to this list making girl!! I love my monthly goals and I love resolutions even more!! I am keeping my resolutions pretty short this year! I realize we are already into the second week of January but I feel like we are finally back on our regular schedule after being off for 2.5 weeks over Christmas Break! 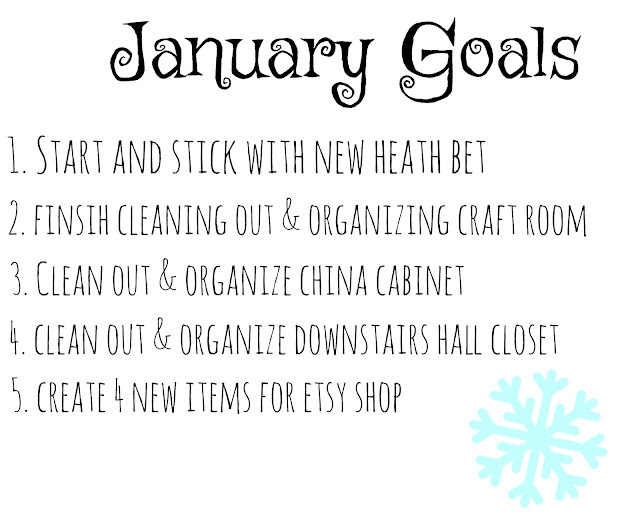 I really like to set monthly goals and see what I can get accomplished for that month! This month's goals are short but time consuming. Hello Monday and Happy Birthday to ME! I hope you guys had an awesome weekend and stayed warm!! We were prepared for a lot of snow but this is all we got! I was excited but the kids were so disappointed!! 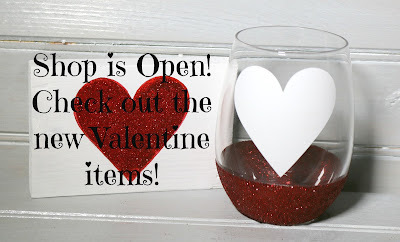 Sharing a few of our FAVORITES this week!! The many sleeping positions from Trixie are my FAVORITE! I wish I could sleep like she does! She will crash anywhere! FAVORITE pups! One was excited the kids went back to school and the other was not! I'll let you figure that one out! My FAVORITE snore! I love a pug snore!! :) Call me CRAZY! My nephew, Eric stopped by last night and ate dinner with us! He was building a bridge with Ella! Building things is one of Eric's FAVORITE things to do!! He can build just about anything! 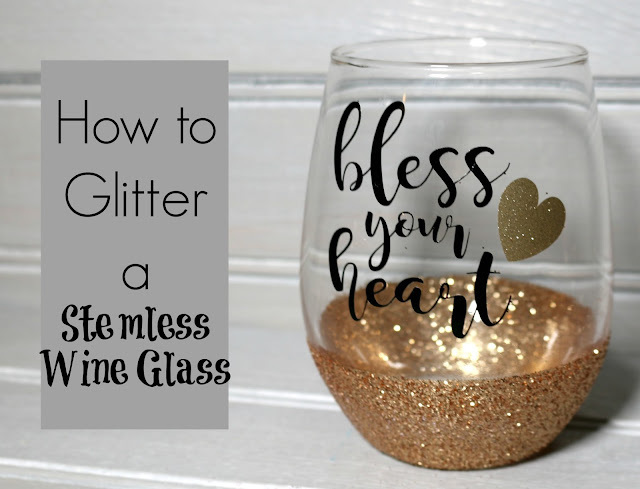 And I think these my be my two new FAVORITE wine glasses! Hope you guys have a great Friday and an awesome weekend! !